With temperatures rising, there has been an increase in the amount of news coverage about the effects of sunshine on our health that has left many of us confused. While you are right to be concerned about over-exposing yourself to it, the sun is, essentially, healthy. Moderate exposure to sunshine has positive effects on not only our health, but on our well being as well. Sunshine is a great source of Vitamin D, which helps prevent osteoporosis and rickets, among other diseases. It also helps reduce the risk of developing cancers of the cervix, ovaries and breast. In addition, most of us notice our mood is elevated by and in sunshine, leading to a reduction in stress and depression. One key to reducing the risk from sunshine is protection - be it clothing (including a hat) or a chemical sunscreen - and to be cognizant of the time of day. Ultraviolet radiation from the sun is at its peak between 10 a.m. and 2 p.m.; try to limit your time in the sun at these times. 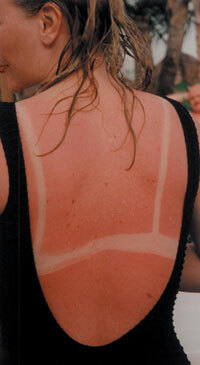 Another, equally important way to protect yourself from sunburn is to alkalinize your body. Many individuals have accumulated acids within the body due to a diet rich in acidic foods (e.g. cheese, meats, eggs) and deficient in alkalinizing foods like leafy greens. Acidity in the tissues of the body can sensitize the immune cells and lead to an increased tendency to inflammation. As a result of this sensitization, individuals who are "acidic" may get sunburns more easily or experience more intense burns. Finally, as a Naturopathic Doctor, I recommend to my patients that, if they are going to be in the sun for any length of time, it is critically important for them to take anti-oxidants, such as vitamins A, C and E, as well as selenium and chokeberry (aronia), which is the strongest antioxidant food yet discovered. For those who are going to be exposed to the sun for prolonged periods, I will often recommend that they take chokeberry capsules, which contain a much more concentrated form of the antioxidant. Finally, keep yourself hydrated when you are outdoors. Now, go have some fun in the sun.